Where and how to get the right to spend a limited amount of time in the United States. Most visitors to the U.S. are required to apply for visas from their home countries, before arriving in the United States. If you haven't yet identified the type of visa you might qualify for, see Who Qualifies for a Nonimmigrant (Temporary) Visa. You will have to locate the consulate nearest you that is authorized to issue the type of visa you want. The U.S. Department of State's website (www.state.gov) can help you find a consulate near you and provides other helpful immigration information. Also check your local consulate's own website. You'll find helpful information about hours and application procedures. For example, some consulates require certain applications to be submitted only by mail, not in person. You must usually do all or part of the visa application process in the country where you live. U.S. embassies and consulates outside your home country will normally refuse to accept your application -- unless you can show a compelling reason why you are unable to apply at home. If, for example, the U.S. has no diplomatic relationship with the government of your homeland, another country's U.S. consulate may take your application. Check with the embassy or consulate where you want to apply. For some types of visas, such as visitor visas, applying involves simply filling out a few application forms and attending an interview at the embassy or consulate (though the final decision may be delayed while security checks on you are completed). For student visas, applying is a two-step process. First, you must find a school to admit you and send you a special form. Then you take that form and your own application to the U.S. consulate. This process is covered in Student and Tourist Visas: How to Come to the U.S., by Ilona Bray (Nolo). For most work visas, applying is a three- or four-step process. First you must find a U.S. employer willing to sponsor you. Then, your employer must file paperwork with the U.S. Department of Labor (for H-1B and H-2B visas) and an office of U.S. Citizenship and Immigration Services (USCIS), requesting permission for you to apply for a visa. After your employer gets USCIS approval, the third step is for you to file an application for a visa at the U.S. embassy or consulate in your home country. Even if you submit your application by mail, you will later probably have to go to the embassy or consulate for a personal interview. (For security reasons, the U.S. government is requiring more personal interviews than ever before.) Contact the U.S. embassy or consulate in your country to learn its requirements. Nothing happens as fast as it should in the world of visa applications. For example, while you used to be able to get tourist and student visas in as little as a day, this is rarely true anymore. Many embassies and consulates have switched to requirements that you mail in your application and then come in for a personal interview later. Also, you will not be approved until your name has been checked against various criminal and security-related databases -- which, if you have a common name, has been known to add weeks or months to the process. Student and Tourist Visas: How to Come to the U.S., by Ilona Bray. A green card identifies its holder as a U.S. permanent resident, with rights to enter, exit, work, and live here for their entire life. But before you think about applying, make sure you're eligible under one of the following categories. Also see the book Fiancé & Marriage Visas: A Couple's Guide to U.S. Immigration, by Ilona Bray (Nolo). Also see the book How to Get a Green Card, by Ilona Bray (Nolo). Or get the book U.S. Immigration Made Easy, by Ilona Bray (Nolo). Also see the book U.S. Immigration Made Easy, by Ilona Bray (Nolo). For more information, see either How to Get a Green Card or U.S. Immigration Made Easy, both by Ilona Bray (Nolo). Years ago, a green card based on "amnesty" was offered to people who had been living in the United States illegally since January 1, 1982. There was a similar amnesty for laborers who worked in the fields for at least 90 days between May 1, 1985 and May 1, 1986. Although the application deadlines have long passed, certain class action lawsuits mean that some applications haven't yet been decided on. See an attorney if you should have qualified. In 1997, Congress added an amnesty for Nicaraguans and Cubans, called the Nicaraguan Adjustment and Central American Relief Act (NACARA). Some provisions also benefit Salvadorans, Guatemalans, and Eastern Europeans. The deadline for filing applications has passed. Another remedy called "registry" allows people who have lived in the United States continuously since January 1, 1972 to apply for a green card. You'll need to show that you have good moral character and are not inadmissible. Your stay in the United States need not have been illegal -- time spent on a visa counts. For more information, see the book How to Get a Green Card, by Ilona Bray (Nolo). Planning your immigration strategy is as important as planning your wedding. If you are a U.S. citizen or permanent resident, and you are engaged or already married to a citizen of another country, that person may be eligible for a green card. However, many people believe, wrongly, that they can just bring their fiancé or spouse to the United States and the immigrant will be given an instant green card or even U.S. citizenship -- a belief that has led to sad cases of people being sent right home again. Your fiancé or spouse will have to go through a multi-step application process. It's your job to start the process, by submitting either a fiancé visa petition (only available if you're a U.S. citizen, but can be used whether you are already married or just engaged) or an immigrant visa petition. Your fiancé or spouse can't enter the U.S. until both the petition and subsequent applications have been approved. Note: If you're not yet a U.S. citizen, but have U.S. permanent residence (a "green card"), you cannot bring your fiancé to the United States until you're married -- and even then, you can bring your spouse only after he or she spends some years on a waiting list. Don't misuse a tourist visa or other temporary visa. If the immigrant used a tourist or other visa to get to the U.S. for the primary purpose of getting married or applying for a green card, see an attorney. The immigrant could be found liable for visa fraud, and denied the green card as a result. Also, the immigrant must be coming from another country -- a fiancé visa won't be given to someone who is already in the United States. As part of the fiancé visa application process, you'll have to prove your intention to marry, by providing documents such as copies of your love letters, phone bills, and wedding ceremony contracts. You'll also have to prove that you've met within the last two years, by submitting copies of plane tickets, hotel bills, and more. This meeting requirement causes problems for many couples. If you simply can't afford to meet, the immigration authorities will say, "Tough luck." If, however, you haven't met because of proven cultural customs or extreme hardship to the U.S. citizen spouse, they may be willing to lift the meeting requirement in for you. Within the application process, you'll have to prove all of the above things. 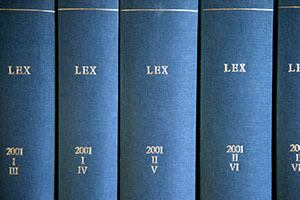 Legal marriage is usually the easiest to prove, by simply providing a copy of your marriage certificate -- though people who get married outside the United States sometimes have a little trouble, because USCIS usually demands that the certificate come from a government office, rather than a church, a ship's captain, or other nongovernmental place. To show that the marriage is the real thing, you'll have to provide copies of documents such as joint bank statements, children's birth certificates, photos of the wedding and afterwards, love letters, and more. To qualify for any type of visa, every immigrant must show that he or she is not "inadmissible" (for instance, has a long criminal record or a communicable disease like tuberculosis). How and where the immigrant applies for a green card depends on a number of factors, including who he or she is marrying, where the immigrant is now, and, if he or she is in the United States, whether he or she got there legally. For details on these matters, and help completing the application forms, assembling the appropriate documents, and having a successful interview, see Fiancé & Marriage Visas: A Couple's Guide to U.S. Immigration, by Ilona Bray, J.D. (Nolo). Many people in the United States have family members living in other countries, and wonder whether they can bring them here. It's a myth that if one immigrant settles in the United States, that one can bring in the whole extended family, and so on. The truth is both more limited and more complex. You can petition to bring family members to the United States only if you are a U.S. citizen or a permanent resident (green card holder). Even then, you can bring in only those family members listed on the chart below. Before reading the chart, click the links explaining the meanings of "immediate relative" and "preference relative." Immediate relatives can get green cards without worrying about waiting periods or numerical limits. Preference relatives may have to wait between approximately one and 23 years before being allowed to apply for their visa or green card. Also, only a certain percentage of the green cards go to any one country each year. That means if a particularly high number of people from certain countries submit petitions -- as is often the case with India, Mexico, China, and the Philippines -- their family members end up waiting even longer than others. The longest waits are endured by siblings of U.S. citizens from the Philippines -- currently a staggering 23 years. The family member who you will sponsor will have to go through a multi-step application process. It's your job as a U.S. citizen or green card holder to start the process, by submitting a visa petition. Your family member can't enter the U.S. until both the petition and subsequent applications have been approved. Although the term commonly used to describe a U.S. citizen or resident who helps someone immigrate is "sponsor," this isn't the technical term. You "petition" for your family member, so you're a "petitioner." Your incoming family member is called a "beneficiary." There are some important steps you can take to speed up your family member's progress toward a green card. If you are a U.S. permanent resident, not a citizen, you can help by applying for citizenship as soon as you're eligible. That's usually five years after getting your green card.